A fifty point outdoor pistol range with covered firing line – firing at 25 and 50 yards. 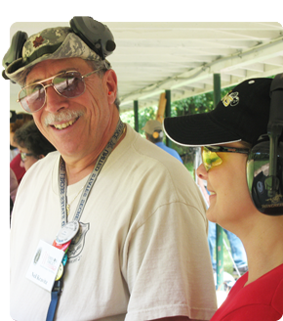 A one hundred point outdoor, lighted, benchrest equipped range with covered firing line – firing at 25, 50, 75, and 100 yards. A ten point outdoor, high power rifle range with covered firing line – firing at 200 yards. A six point, ten meter indoor airgun range – located inside Memorial Hall. Memorial Hall clubhouse/meeting hall – with kitchen and restrooms (located adjacent to the trap range). Lower range house/meeting hall – with kitchen and restrooms(located at the 100 yard Barnes Range). 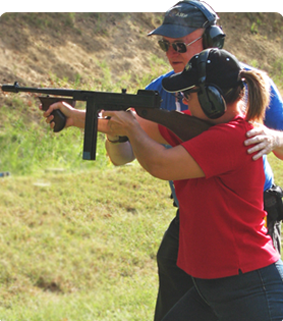 All of the ranges are operated in an absolutely safe manner through the strict enforcement of Range Rules posted throughout the facilities and which all club members (of all AGC clubs) are indoctrinated upon joining as part of the range orientation. The AGC range facility is open seven days a week – from 8:00 AM until dusk on weekdays and from 9:00 AM until dusk on weekends. 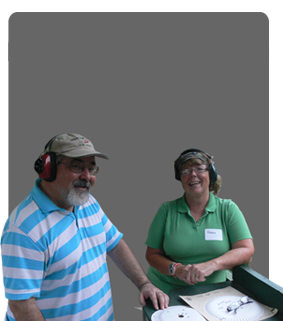 In addition to its availability to Monumental members for unscheduled informal trap shooting (arranged through a Range Officer), scheduled club shoots, and seasonal club trap leagues, the Trap Range is also open to the general public every Saturday and Sunday from 12:00 Noon until 4:00 pm, and on Wednesday evenings from 6:00 pm until 9:00 pm for supervised trap shooting. There is a modest fee per round of trap, covering the cost of targets and the operation and maintenance of the trap equipment.